One of the oldest ammunition manufacturers in the world, Sellier & Bellot has been producing high-quality loads since 1825. This Czech company is a member of the CBC group of ammo manufacturers which includes names like Magtech and MEN. 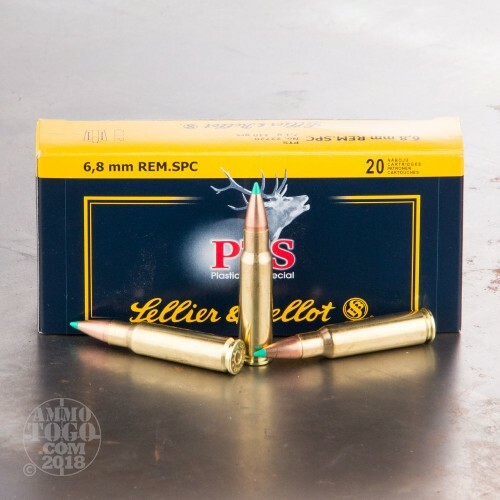 With almost 200 years experience in the ammunition industry, Sellier & Bellot is definitely a name you can trust. 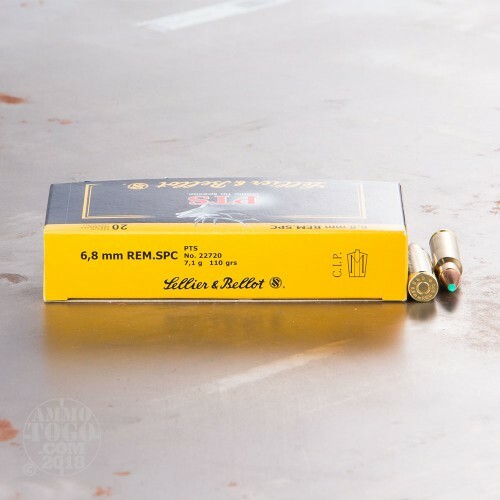 This package contains 20 rounds of Sellier & Bellot 6.8 SPC ammunition. Each cartridge is loaded with a 110 grain polymer- tipped spitzer bullet. These specialized projectiles feature a jacketed soft lead core furnished with a sharp plastic tip. The streamlined tip provides the optimal shape for ballistic performance and flat trajectories. The result is impressive accuracy, especially and longer ranges. 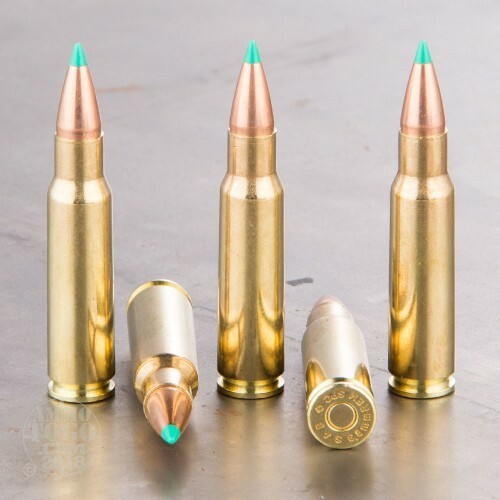 These bullets also have excellent wounding capabilities making them ideal for hunting whitetails and other big game animals. 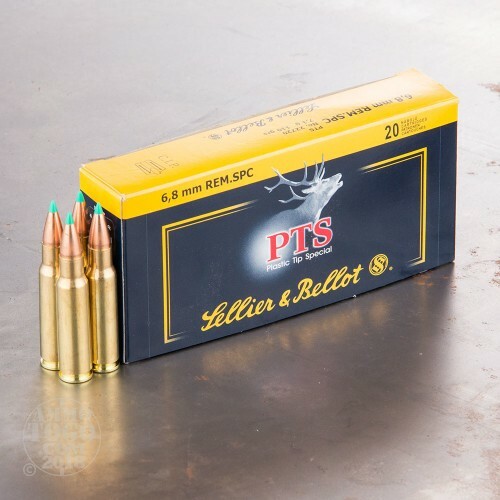 This ammunition is factory fresh, boxer primed, non-corrosive, and features reloadable brass cases. Each round produces a muzzle velocity of 2549 feet per second with 1587 foot pounds of game-dropping energy.